UK-based cable and telecom investor Zegona Communications’ shareholders yesterday approved the company’s plans to up its stake in regional Spanish cable operator Euskaltel through open market purchases. Zegona’s acquisition of additional Euskaltel shares could see it supplant regional bank Kutxabank as the Basque Country-based operator’s principal shareholder. The UK based group successfully completed a share placing in January, raising gross proceeds of f approximately £100.5 million (€112.6 million) to acquire Euskaltel shares. 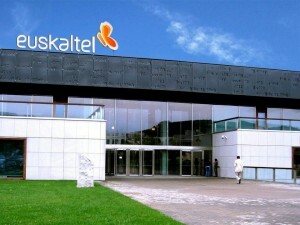 Zegona currently holds a 15% stake in Euskaltel through its sale of Asturias operator Telecable to the company. Zegona had previously abandoned a plan to acquire a larger stake in the operator through a public offer that would have seen it up its holding to just under 30%, blaming deteriorating conditions in the equity market. Zegona’s plan to acquire shares on the market could be helped by the lack of interest expressed in acquiring Euskaltel by telecom operators Orange and MásMóvil. While Euskaltel’s shares fell slightly on news that Orange had no intention of making a move on the company, they closed at €7.80, slightly higher than the price proposed by Zegona at the time of its public offering. Zegona has make no secret of its ambition to set the agenda for the future direction of Euskaltel, with plans that included a change of management and bringing the Virgin brand to Spain to support the company’s expansion nationally.